CES Attendees Don’t Even Know What 4K HD TV Is. While there have been hints of advanced battery technology development reported in various journals, there was nothing even hinted at the Consumer Electronics Show in Las Vegas this week. This would suggest that we are still a very long way off from any commercial solution to our dead and dying batteries. Ironically my wife last night announced that the battery in her iPhone 5S was not holding a charge like it formerly did. Anyone with this problem also knows that mobile phone stores do not generally even carry replacement batteries. These retailers prefer to use the situation to try to sell you a new phone. Last year at CES, the only battery related news was the Intel Atom CPU which was promoted as doing “more with less,” to achieve all day battery life… Not sure where that has gone. The following post from NPR offers some stark reality on what people were looking for at CES. “You have to realize, this is like 2 1/2 million square feet of display space with all these drones flying around and these mammoth curved televisions with 4k ultra-high definition,” Murray tells NPR’s Arun Rath. 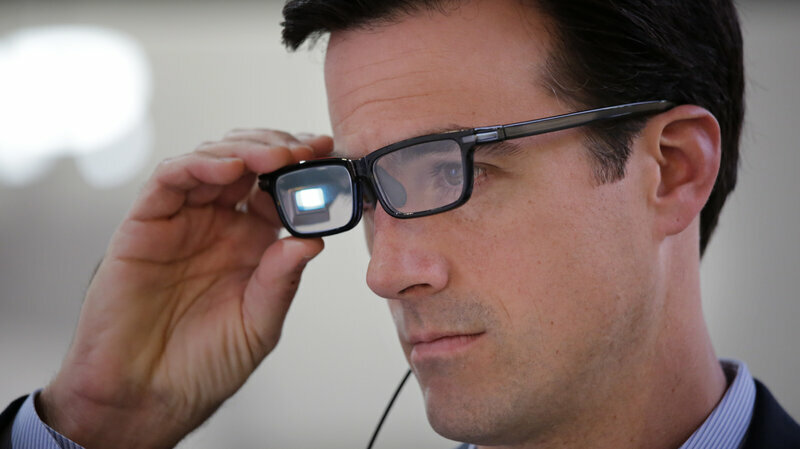 Chris Barnes tries out Toshiba Glass, one of a number of new wearable gadgets at the 2015 Consumer Electronics Show in Las Vegas. The International Consumer Electronics Show has wrapped up its showcase of the latest in high-tech, from wearables to curved-screen phones to extremely high-definition 4K televisions. But according to a survey from the magazine Fortune, many Americans have a simpler wish: better batteries. And 4K television didn’t do much better. Seventy-five percent of respondents said they had never heard of it. Alan S. Murray, editor of Fortune, says he was struck by the survey results while walking around the halls of CES. Despite consumer interest, Murray says, there wasn’t a great deal of buzz about batteries at CES. But, he says, many in the tech industry are awaiting a breakthrough in battery technology. 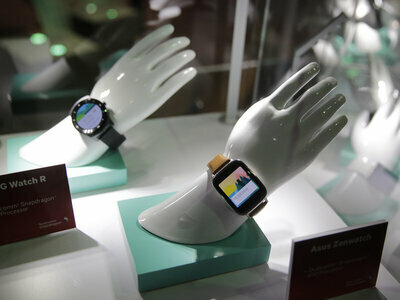 Smart watches based on Qualcomm chipsets are displayed at CES — but do consumers want them? But, as it turned out, 3D TV was a big flop. “People don’t want to sit in their living room and wear silly-looking glasses while they’re watching TV,” Murray says.